Sometimes managing household help and a driver is stressful for me when their inter-personal relationships get complicated. When unsettled issues linger, their work and the environment of our home is affected. But my greater concern is their spiritual health and what lies behind the conflict. For several months our household help and driver were embittered with one another. Their dissension began with minor irritations over personality differences. But the hurt escalated until they started name-calling and criticizing. When I asked each one of them what the issue was, the problem between them had become so convoluted, Edric decided to set a meeting to settle their conflict once and for all. This morning, he mediated a nearly two hour discussion. First we prayed together and then he gave each person the opportunity to share their frustrations. He didn’t let emotions escalate and he prevented the higher-strung individuals from butting in and making snide comments. When everyone had the opportunity to speak up, he helped them identify the main issue. The main issue was pretty simple — our driver was hurt because one of our household help was moody towards him. So he was demotivated to assist our girls when it came to chores outside the scope of his driving responsibilities. This angered the women who interpreted his attitude as laziness. They began to incite him with comments like, “you just sleep and eat,” which gave him reason to disdain them. Months passed and the angry feelings increased until they became noticeable to Edric, me, and our kids. Today, Edric ably sorted through the mess with them and encouraged them to pursue peace. The two hour meeting turned out to be a wonderful time of healing for our household help and driver. Edric asked all of them to say what they appreciated about each other, and what they could improve on. Tears were shed. Humility and forgiveness were present, and reconciliation took place. At the end, I reminded them that our home represents Christ because we are followers of Jesus and so are they (each one of them has a personal relationship with Him). Therefore I concluded my little part of the speech I was allowed to inject, thanks to Edric, with the reason why we need to be at peace with one another. We want to glorify Christ in our relationships and in our home. They wholeheartedly agreed. He made them read this passage and internalize it so they would remember to speak in ways that edify and not wound one other. We also prayed together to conclude our meeting. Afterwards, everyone was smiling and the atmosphere had changed from tense and chilly to warm and sunny! I decided to write this entry because I was blessed by Edric’s leadership today. He sounded like a frog because he was battling a bad cough and laryngitis but he prioritized this peace-keeping mission to restore the relationships that were broken in our household. He could have left the problem to me to fix, but he knew that I needed his intervention to facilitate the meeting in Filipino and to assert his headship. The women were flaming some some pretty hot emotional fires but because they deeply respect Edric and have a healthy fear of him, they listened to his counsel and guidance. Edric also assured me that he knew the culture and how to steer the course of the discussion so it would remain focused and productive. I know this passage is especially for church leaders, but in the verses which precede it, the encouragement is to aspire for church leadership. This means that every person ought to consider putting on the qualities that describe a leader. And being a good leader includes managing one’s household — ordering it and taking charge of it. I used to think this was about making sure that our kids are well-behaved and obedient. But it was brought to my attention again today that the responsibility is greater. Edric and I need to disciple our household help and driver. They don’t just work for us to serve our family. We must be committed to their spiritual health, too. God has placed them in our lives so we can bless them and minister to them. Sometimes, this means Edric, as the head of our home, has to steer them towards Christ-likeness like he did today. I may have been able to set up and oversee the meeting today, but I know it wouldn’t have turned out as well as it did so I praise God for the wisdom and initiative he gave Edric. What an amazing difference it makes when a man embraces his God-given position of authority in the home! Hi, I really love your articles! They really inspire young couples. However, I think this pic shows too much skin. Bless your heart Joy! You are one of my inspirations as a young wife. Wow.. 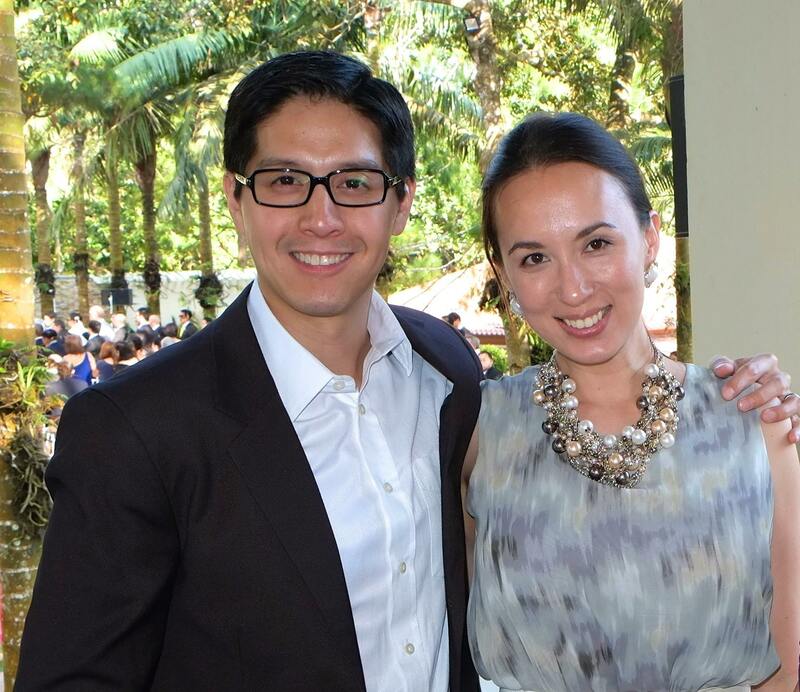 I love and admire Edric and his wife Joy! I didn’t meet neither of you in person but I like your beautiful family, and it seems you’ve appreciated my comments. Handsome and beautiful people, charming people and if beauty and charm can convert I said I would be a christian. But you see the beauty is there but your Theology is not right, you know the understanding.. concept of God is not right. But charming people and I pay tribute to Edric and his wife Joy. I am a widow with two sons, aside from managing my household i also manage a small business. My responsibilities are super challenging and sometimes i so stressed to the point that i find it hard to sleep. Please pray for me too, when i pray i find peace. Praying for you Ms Lally. May the strength of the Lord bring you above all your labors and burdens and that your children will grow to honor you and love you all your days. May peace and serenity embrace you as you stand to find assurance that God is your provider, deliverer and redeemer. I don’t read all your blogs but this one reminds me when I was working for your household ( I mean your growing up years) as your yaya we also had differences with each other and as a new Christian then my self is still in control instead of the holy-spirit. And I remember your mom how patiently talk to each of us and try to resolve our problems with each other. Your a grown up woman now and you are in the same predicament. It’s good that you let your husband intervene with the problem and how you encourage him for that, I praise the Lord for the woman you have become. What a beautiful testimony, of a former helper/yaya. God Bless your family and efforts to encourage us all to live Godly lives. Thanks for all your posts…I’m so happy my household and drivers get along nowadays.my household are always included in my prayers. You’re such a wonderful couple. God Bless you more. Hello Joy! Thanks for sharing this story. This is a very typical household scenario that sometimes I do not feel so mindful of. That speaks a lot of my engagement with those who serve our family and who daily provide the means to make things easy for us. I am reminded how i also should regard with respect and value these people through making an effort to show concern for their issues and difficulties. Although much of the time our children grew up with only few years with household “Manangs”, but how thankful i was to have received their sincere help during the crazy years of parenthood! I recall that i rarely sit down with them to talk about Jesus and the counsel the Bible could give to everyday practical living. This is a timely reminder for me today–To regard other more highly than myself and to honor the labors of those around us. Thank you Lord of the lives of all our “manangs’ and “manongs” and the love they showed our family. Joy I always dream about you and your whole family (with your children). I don’t know why. I don’t think the dreams are about “you” per se but your family must symbolize something in my dreams and God might be using that to tell me something? God bless you.